Determining the Impossible: What Makes an Apartment Building Special? Home quality is so subjective, it’s nearly impossible to determine what makes one “the best.” Some renters won’t do without 1000 square feet, new construction smell, and a balcony overlooking the cityscape. Others are content with a weathered studio in a fragile 1920’s complex with no elevator or air conditioning. So, in an effort to spread the love across all renter-styles, we’re choosing the best apartments across Portland’s five quadrants. The St. Johns neighborhood is as far north as it gets, save for Jantzen Beach. So it’s only fair to highlight a favorite apartment complex in this area versus the more easterly districts of “NoPo”. And the spot that catches the attention of so many newcomers is, of course, the one that offers the perfect view of the most photographed landmark in the neighborhood — the stunning and dramatic St. John’s Bridge. Cathedral Park Apartments on North Burlington Avenue has all the features of modern living such as fully-equipped kitchens and plank flooring. The exterior architecture is a modest mix of old and new, brick and wood siding with no funky “designer’s dream” elements that make it look out of place amongst its elder neighbors. Pets are allowed and studios start at $995/month. KBC Management, Inc. has a lockdown on the majority of historic apartment buildings in Portland. Fortunately, they do a great job of taking care of both the buildings and their tenants. Their territory tends to be along popular commercial streets like NW 23rd Avenue where residents can slip from home to social life by stepping out the lobby door. A classic example of these turn-of-the-century gems stands prominently above the Barista coffee bar on NW 23rd. Vintage crown moldings, French doors, second and third-floor bay windows, and black and white tile floors make this property a true Portland classic. One and two bedroom flats start around $1,250/month. Surely you’ve driven past The Civic on West Burnside. This highrise is sandwiched between the Timbers Stadium and one of the busiest sections of Burnside. Its fifteen stories of glass and concrete make it an unmistakable beacon of Portland’s recent growth. Though its presence is anything but recent; built in 2007, it was one of the first signs of Portland’s move toward a higher population density. For renters looking for a true upscale urban experience, this place hits all the marks. Condos are available for lease and sale, with prices starting at $1,995/month for 700 square foot studios and $2,895 for 1,300 square foot two bedroom units. The Hawthorne Twenty-Six apartments are meticulously managed with every contemporary feature design-conscious city dwellers could hope for. The building is located on the vibrant Hawthorne Boulevard, offering easy access to unique entertainment, shopping, and convenient dining options. 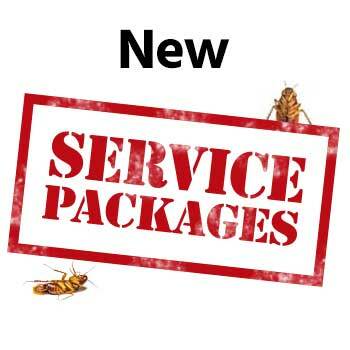 Property managers are on site and known for their friendly, attentive service. The building is super secure, and even has its own rec room, coffee shop, bar, covered parking, and bike storage. Unit layouts are thoughtfully named after Portland streets and neighborhoods. The “Burnside”, for example, is their smallest studio, starting at $1,195/month. Their largest unit, the “Interstate” offers over 1,000 square feet of living space for $2,175/month. The Silver Court Apartments on NE Hancock in the Lloyd District is a rare piece of historic architecture that can’t help but transport tenants and onlookers alike to bygone decades. The building was constructed in the 1920’s and features an open courtyard with an English-style garden framed by red brick walls and adorned with colorful plants spilling from window box planters. This building is so adorable it’s hard to bear. Studios start around $1,200/month. Even the swankiest apartments in Portland can have pest problems. 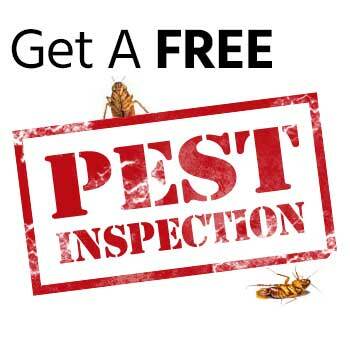 Call The Killers for expert local pest control service when you need it!